Gopal Chandra Institution (GCI) High School, located at the village of 'Kacharipara' in the Pabna municipality is one of the oldest educational institutions in Pabna. 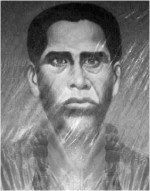 Gopal Chandra Lahiri, the eminent educationist of the 18th century established the school in 1894. The school was named 'Pabna Institution'. Gopal Chandra Lahiri himself was the founder-headmaster of this school until his death. Students from all parts of the society have been admitted to this school. Pabna Edward College, one of the largest colleges of the northern region grew out of this institution in 1898. The name Pabna Institution was changed in 1931 after the death of Gopal Chandra Lahiri. Then landlord Bhaduri of Porjana in Pabna had donated 7 bighas of lands towards establishing the school. The construction work on the school ended in 1907. The fame of the school spread had across the districts quickly. The school boasts a number of eminent alumni. Chief Justice Ruhul Amin was once a student of Pabna GCI School. Also, former Vice Chancellor of IIT, Gazipur, Dr. Anwar Hossain, Religious Reformer Anukul Chandra Tagore, Columnist Rashid Haidar, Poet Daud Haidar, Film Director AJ Mintu, Professor of Nehru University Satten Datta, and Former Chairman of BIWTA Advocate Shamsur Rahman Shimul Biswas are among the noted alumni. Surveying the school recently it was found that the school is now suffering from huge problems. Teacher crises are one of the biggest problems of the school. There are just 14 teachers for 800 students. The posts of Assistant Headmaster, agriculture teacher, English teacher and Bangla teacher are vacant. The academic activities of the school are hampered due to the lack of adequate teachers, school sources said. There are no specific laboratories for each department. There are just two rooms that are used as science laboratories. There are no separate laboratories for Physics, Chemistry and Biology. The science laboratories are essential for science students. Also, there is currently no auditorium. There are just 15 classrooms in 4 buildings in the school. The Department of Facilities and the LGRD department have sanctioned 4 buildings earlier for the school. Though the students are holding classes in the newly built buildings, the headmaster's office is operating in the oldest building. All of administration is in the oldest building. The headmaster has admitted to some of those problems. “Though we are suffering from various problems including teacher crises, classroom crises and other problems, teachers are very good to the students. The results are better than other non-government high schools.” Md. Abdul Karim Khan, the headmaster of the school told me that he had urged the government to try to solve the problems of the school. “We feel proud that we're part of a century-old school. It is one of the oldest and best schools of the district.” Abu Musa, a class 10 student of GCI School told me. “I retired from the school in 2000. But I love this school. I have a permanent relationship with this school. I often used to come here and spend time in my retired life” told Alhaz Md. Sajahan Ali, a retired teacher.